Some heroes just aren’t very good in the Dota 2 meta. They might not have a good laning phase, or they might be bad at team fighting. But what if you could swap out your hero in the middle of the game? 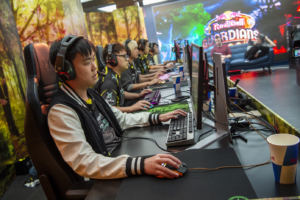 That’s the idea behind Red Bull Guardians, and it’s precisely the concept that four professional teams had to wrap their heads around for a showcase event at London’s Red Bull Gaming Sphere this weekend. 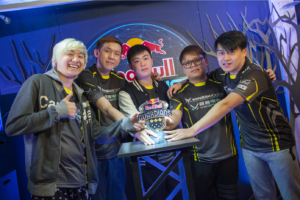 The core gameplay of Dota 2 stays the same in Red Bull Guardians, except for one key difference: there’s an additional drafting phase in which the teams can choose three heroes to use as substitutes. You can swap out your hero during the game, and the new hero keeps the same items and experience as the old hero. There’s a three-minute cooldown on this ability, however, attached to each player. It was a pretty big deal too, as Jorien ‘Sheever’ van der Heijden was brought in to host. On the casting desk there was William ‘Blitz’ Lee, Austin ‘Capitalist’ Walsh, Ioannis ‘Fogged’ Loucas, and Owen ‘ODPixel’ Davies. Everyone on this list was also involved at some capacity at The International 2018, the biggest Dota 2 tournament of the year. I spoke to some of the pros who were invited down to play in the tournament about some of their strategies and top tips for the brand new game mode. “It’s gonna be cool because we get to tryhard as Dota 2 players, but it’s going to be unfamiliar enough and there’s a lot of room for exploration and theorycrafting,” Brian ‘BananaSlamJamma’ Canavan told me the day before the event. “While everyone is experienced and good at Dota, I feel there’ll be a lot of question marks and random stuff people won’t predict. The teams at the event were paiN Gaming, Mineski, Lithium, and ROOONS, with $20,000 for first place up for grabs. There were certainly some surprises along the way, but in the end, raw talent won out. Mineski and paiN, certainly the stronger teams in the tournament, made it to the final, and Mineski dispatched of their opponents pretty easily. They didn’t lose a single game throughout the two-day tournament. 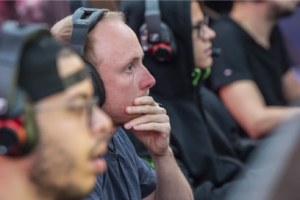 The players didn’t have much time to prepare, but with the amount of Dota knowledge each of them has, it was pretty easy to come up with basic ideas. The strategy of picking strong laners for the early game is an obvious one, and it was used pretty much across the board. The hero Alchemist proved to be a popular theory. Both of these players also told me about the idea of picking a strong team fighting champion with powerful abilities later in the game. “You can have a team fighting hero with a big ultimate and a long cooldown, but you can just swap them out and keep playing the game normally,” said w33. “You can do some cool things with Enigma and Void, use the big cooldowns. We’ve thought of some crazy stuff,” said Madara. Lithium was outclassed by paiN Gaming 2-0 but did manage to play a nice few games against ROOONS in the lower bracket. They won that match 2-1 but came up against paiN Gaming again, and lost 2-0 once again. ROOONS had a pretty miserable time overall, but it seemed like they still had fun trying to figure out broken interactions. For example, BSJ told me about an interesting Broodmother tactic. A $40,000 prize pool isn’t bad for what is essentially a throwaway game mode for the pros to have a play around with. I asked the pros if they thought it could be brought out as an official mode for the game, much in the same way that League of Legends’ All Random All Mid (ARAM) is now a popular fixture of that game. Although they all seemed to like the concept, I definitely got the idea that most of the pros would be sticking to the standard game mode for the time being. All images courtesy of Mark Roe/Red Bull.